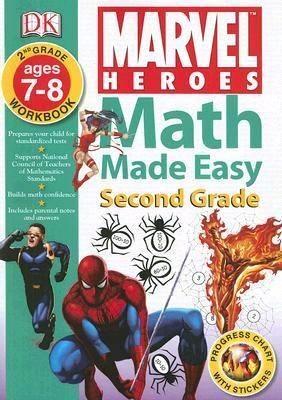 Illustrated with kids favorite characters from Marvel and DC Comics, each of these math workbooks is filled with exercises for home learning that feature problems and practice questions. full color. Consumable.Tribley, Alison is the author of 'Math Made Easy Marvel Heroes / Spider-man Second Grade Workbook', published 2007 under ISBN 9780756629854 and ISBN 0756629853.